One more contribution for the week. 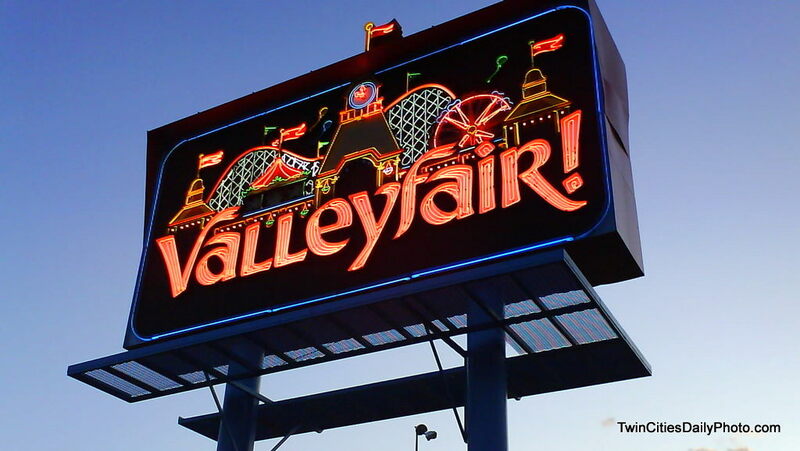 Today's is from Dave R. It features the neon sign from Valleyfair Amusement Park along Highway 13 in Shakopee. I would love to hear those of you who do not live in the Twin Cities to pronounce the city name of Shakopee. The massive sign does feature a spinning neon ferris wheel which adds a great touch.